Unlike other pumpkin soups, this one is not sweet. In fact, it can be spicy! Adjust the amount of hot sauce and chili powder depending on how hot you like it. Heat a large soup pot over medium heat. Add oil, butter, bay leaf, celery, onion, salt, and pepper. Cook 6-7 minutes, until tender. Add cornstarch and poultry seasoning; cook for one minute. Mix together a little chicken broth and hot sauce, and whisk into pot. Add remaining chicken broth; bring liquid to a bubble. Whisk in pumpkin in large spoonfuls, incorporating it into the broth. Simmer 10 minutes to thicken a bit. Add cream and nutmeg. Lower heat; keep warm until ready to serve. While soup simmers, combine all relish ingredients. Serve in bowls with a few spoonfuls of relish on top. This is very scrumptious and really hits the spot on a cold day! And I love that it only contains one of the big 8 allergens! 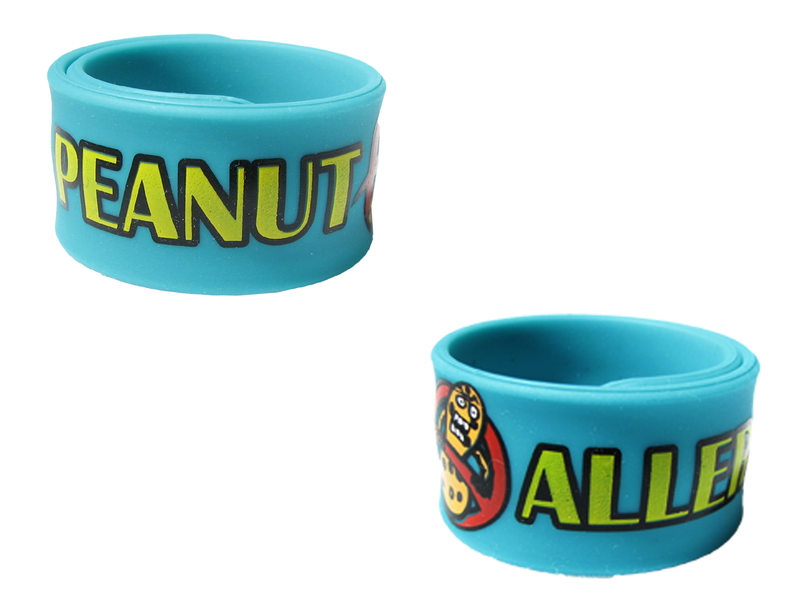 And speaking of allergens, don’t forget that our Peanut Allergy Slap Bracelets are available now! What are you eating to keep you warm in the January cold?